Wave your brand in the air! 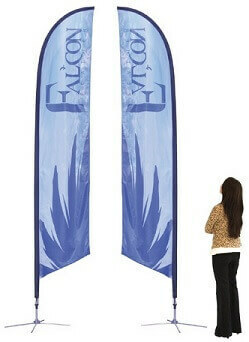 Fly your logo & message high with single- & double-sided flags that go all the way up to 20ft tall. 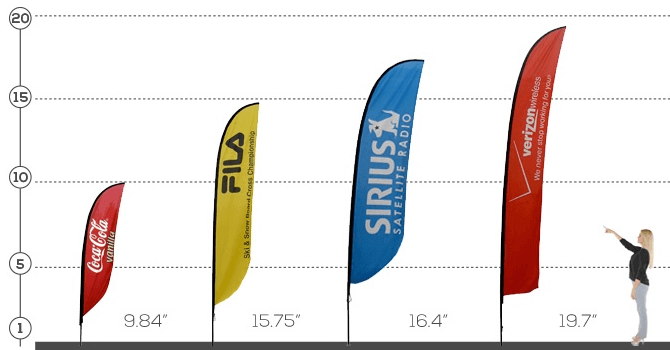 Falcon flags, feather flags and the ever-popular teardrop flags - all available at the best prices and in a variety of heights. Golf courses, retail stores & restaurants, home sales & real estate marketing, outdoor sporting events, beer, food & wine festivals, name it. Bulk pricing always available. Call for quantity discounts. 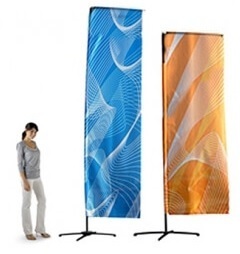 Here to help make it happen for all of your outdoor display needs. No catch: Prices include hardware & printing.